Italian supercar manufacturer, Ferrari, has reclaimed the title of the world's strongest brand, having last held it in 2014, according to the latest report by Brand Finance. 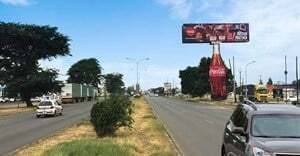 The iconic brand has increased its Brand Strength Index (BSI) score three points from 91.5 to 94.8 out of 100 over the past year, pulling ahead of the likes of McDonald's, Coca-Cola, Lego, and Disney. Brand Finance determines the relative strength of brands through a balanced scorecard of metrics evaluating marketing investment, stakeholder equity and business performance. 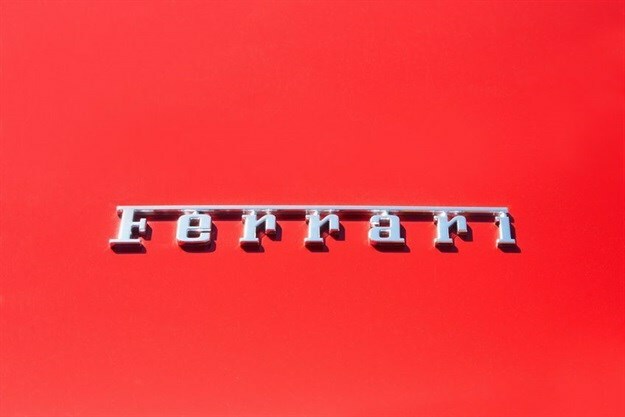 According to these criteria, Ferrari is the strongest of only 14 brands in the Brand Finance Global 500 2019 ranking of the world’s most valuable brands to be awarded the highest AAA+ rating. Since its inception, Ferrari has remained synonymous with style and performance, enabling the brand to successfully extend into other sectors – from merchandise, such as hats and sunglasses, to theme parks and even the Maranello Village, a Ferrari-themed hotel – without losing its appeal as a luxury brand. Upmarket auto brands in general continue to turn heads and win consumer approval. Porsche and BMW follow Ferrari as first-class brands with AAA brand strength ratings. Along with the level of revenues, brand strength is a crucial driver of brand value. As Ferrari’s brand strength flourished this year, its brand value also improved, racing ahead 27% to $8.3 billion. Most of Ferrari’s limited production of models for 2018 and part of 2019 were already sold out by May 2018, and new chief executive Louis Camilleri presented a plan in September 2018 promising 15 new models including hybrids, which remains on trend with the shift to electric across the auto industry. The Big Four professional services firms also achieved noteworthy performance in terms of brand strength this year, with three of them posting the same elite AAA+ brand rating as Ferrari. 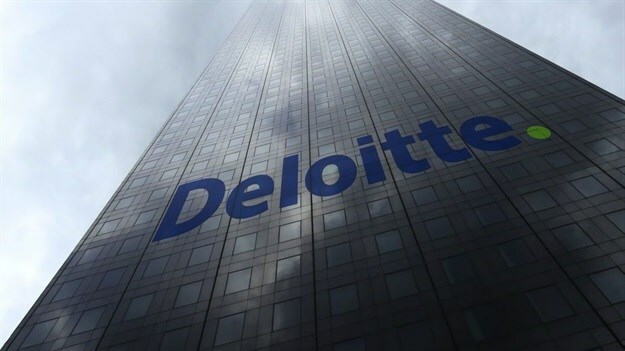 Deloitte leads the charge as the strongest and most valuable of the accounting and audit giants with a BSI score of 91.2 (brand value $29.6 billion), pulling ahead of last year’s sector leader, PwC, this year with a BSI score of 89.8 ($24.9 billion). EY also continues to attain elite AAA+ status, with a BSI of 89.7 ($23.2 billion) having achieved fast growth in both brand strength and brand value in recent years since 2015. Though the Big Four hold steady overall among commercial services brands with regards to brand strength, KPMG trails behind with a BSI of 83.2, down 4% from last year. The KPMG brand has been impacted by controversies in 2018, including the widely covered audit of now defunct UK construction firm Carillion. The success of the Big Four, however, may be dampened by the winds of change already swaying these firms to take bolder steps towards modifying their traditional consulting models. 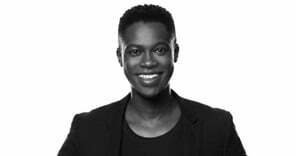 Not only have they entered and expanded into new realms of professional services throughout the world, but there is also increased talk of breakups into smaller fractions that would help hedge their bets for better service provision in the coming years. Amazon maintains its title as the world’s most valuable brand in the Brand Finance Global 500, growing nearly 25% to an impressive $187.9 billion, over $30 billion more than 2nd place Apple. Notoriously strong for service, last year, Amazon recorded its most successful Prime Day to date, with consumers purchasing more than 100 million products. This was shortly followed by the brand crossing the $1 trillion threshold on Wall Street for the first time in its history. And due to an ever-diversifying portfolio, it seems no industry is safe from the threat and power of Amazon. When the company announced a joint initiative with JPMorgan and Berkshire Hathaway, health insurance stocks – including UnitedHealthcare, Cigna, and Anthem – saw a significant loss just one day after the news hit. As Amazon relentlessly extends into new sectors, its brand value is inclined to grow despite the recent announced high-profile divorce of Jeff Bezos, founder and CEO. 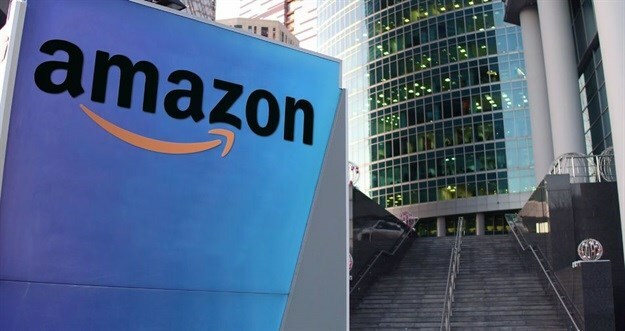 However, if the separation process is mishandled, the effect upon Amazon’s brand value could potentially be well in excess of $10 billion; with the expectation that the range of loss could be between 5%-10%. The retail industry has felt the biggest impact from the likes of Amazon, as e-commerce and mobile commerce have now become the consumer norm. Walmart, which held the top position in the Brand Finance Global 500 just 10 years ago, has dropped out of the top 10 most valuable brands for the first time. Although its brand value has grown 10% to $67.9 billion, the company continues to struggle with product fulfilment issues, increased transportation costs and slow gains in its online sales. Walmart – and other big box retailers – must improve its online offering and elevate the in-store customer experience or the brand will continue to lose out to its e-commerce competitors. Apart from disrupting traditional industries, the tech sector has carved out a clear space of its own, demanding 6 positions in the top 10 most valuable brands. In addition to Amazon in first, Apple (second, $153.6 billion) and Google (third, $142.8 billion) round out the top three positions. As Apple struggles to grow in key emerging markets and shows little motivation to diversify its portfolio, it could be the opportune moment for Google to shift to second place in 2020. Although punching among the brand heavyweights, Apple has recorded mixed performance in the Brand Finance Global 500 over the past few years, losing to Google in 2017 and subsequently to Amazon. Will Apple share Walmart’s fate as its reliance on handset sales endangers its long-term prosperity, causing the brand to travel down the ranks? It remains to be seen whether Google will continue to rake in sales, regardless of its woes over EU fines or employee distrust, allowing it to best Apple in the ranking. One brand making an interesting comeback is Microsoft, up from 6th to 4th in the Brand Finance Global 500. With a 47% increase in brand value to $119.6 billion, it is the fastest-growing brand among the top 10 most valuable. The company’s transformation to a cloud-centric business model has proven successful in the last year, with revenue increasing 17% in 2018. While it once may have seemed that Microsoft was out of the game, its determination to adapt is a great example of how a brand can use change to its advantage. Complacency can be detrimental as even relatively innovative tech giants face disruption from start-ups and challenger brands. There is a reason the saying ‘do not put all your eggs in one basket’ has been around for centuries. The advice is clear: a business cannot concentrate all its efforts and resources in one area and expect to survive long-term. The brands that evolve and experiment in new sectors, like Amazon and Microsoft, are the ones who will continue to outperform competitors; while the brands that are slower to adapt or diversify, like Walmart and Apple, will miss a key opportunity to grow brand value. While Facebook secured its spot as the seventh most valuable brand, its overall brand strength declined with the second worst BSI performance in the top 100, decreasing 11% to 82.9. Following a succession of scandals – including the Cambridge Analytica data misuse, the role the platform played in spreading fake news, and a network security breach – it is no surprise that there remains significant distrust in the brand. Facebook must improve its reputation for handling data and demonstrate it can thwart the spread of misinformation if it expects to improve its brand strength in the coming year. The media industry represents another instance where new players are upsetting the status quo. The majority of the world’s biggest television network brands have felt the pinch whilst digital platforms encroach upon their viewership. With more consumers than ever preferring on-demand streaming content, Chinese tech giant iQiyi entered the Brand Finance Global 500 for the first time with a brand value of $4.3 billion, up 326% on last year’s valuation, making it the world’s fastest-growing brand this year. The Baidu-owned online video platform based in Beijing is China’s answer to Netflix and hosts over 500 million monthly active users, suggesting an immense growth in demand for media content from Chinese consumers. Speaking of Netflix, the video streaming powerhouse continues to go places, as the brand moved from 147th to 77th in the ranking – the fastest-growing brand outside of China, surging 105% to $21.2 billion. The company recently announced the price of its most popular plan would go up by $2 in 2019, but that is unlikely to cause any distress as its subscriber base has now grown to 139 million worldwide. Chinese brand presence across the Brand Finance Global 500 increased to 1307.4 billion, breaking the $1 trillion mark for the first time, with many brands making headway in the ranking. In addition to the world’s fastest-growing brand, iQiyi, Chinese tech brands are especially coming out on top. At $50.7 billion, WeChat is a rising star, having lifted its brand value 126% over the previous year. Its influence is reflected in the impressive way in which the brand has successfully created a digital ecosystem for its 1 billion Chinese users who use the platform every day to instant message, read, shop, hire cabs, and more. WeChat is the jewel in the crown of Chinese tech giant Tencent, which ranks 21st, holding a brand value of $49.7 billion. Tech brands are not the only ones driving China’s total brand value up. China’s most valuable brand, which also features as the world’s eigth, is Beijing-headquartered banking giant ICBC (brand value up nearly 35% to $79.8 billion). As the world’s largest lender by assets, ICBC has more than tripled its number of overseas outlets to more than 400 in the last 10 years. Breaking into the top 10 this year is China’s second biggest bank by market cap, China Construction Bank (CCB). With a brand value of $69.7 billion, up 23% since last year, the company’s success can be attributed to its innovative developments in seizing the digital banking revolution. In a pioneering first for the Chinese banking landscape, CCB also opened the doors to its first self-service bank branch, run by robots using facial recognition, artificial intelligence, and virtual reality. Further down the table, Chinese real estate brands Evergrande (up 26% to $20.4 billion), Country Garden (up 43% to $16.6 billion), and Vanke (up 54% to $11.0 billion) have each recorded a notable increase to their brand values. This growth serves as a nod to the support from Chinese policymakers to the real estate sector. Across the insurance sector, Chinese brand Ping An (up 77% to $57.6 billion), is leading the charge, growing comfortably against competition. Major Chinese brands such as State Grid, ranking 18th in the Brand Finance Global 500 (up 25% to $51.3 billion) and telecoms brand China Mobile (up 5% to $55.7 billion) are to be commended for their contribution to the Chinese economy. Chinese brands are braced for the trade wars ahead and starting the year confidently, seeing notable rises in brand value across a variety of sectors: tech, banking, insurance, and real estate. It now rests upon the guardians of these Chinese brands to navigate the choppy waters of US tariffs and negotiate their way through the escalating tensions in the years to come.